This post is for all the men & women out there who loves to pamper themselves before an upcoming Holiday party or wedding or dinner date or girl's night out or for whatever occasion. !!! use the code: fivetwobeauty15 to get 15% OFF your purchase !!! 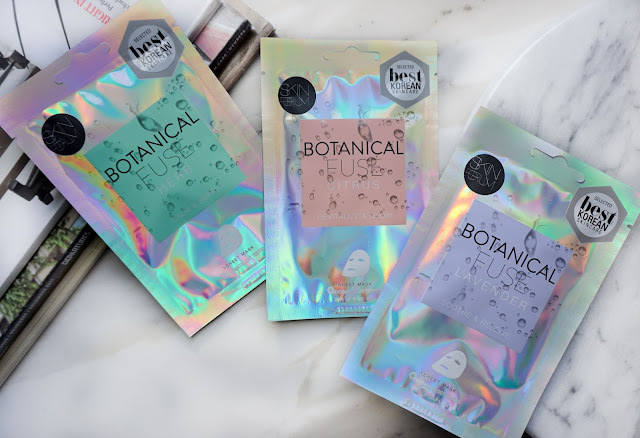 The Botanical Fuse bundle is the "newest bundle of goodness" from SkinForum. One mask a day, everyday is the easiest K-Beauty routine for naturally glowing, flawless and youthful skin. 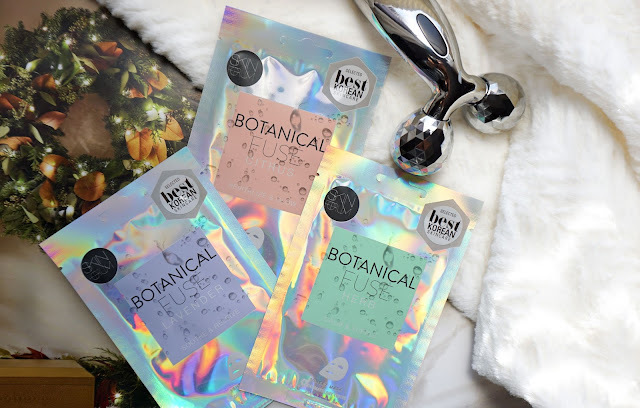 There are 5 new sheet masks in the collection infused with botanical ingredients to satisfy your daily skin needs. * use the code: fivetwobeauty15 to get 15% OFF your purchase!!! "I'm as refreshing as your favorite summer booze, but without the tequila." Squeezed with Orange, Lime and Grapefruit extracts. This will handle your skin's hangover, toxins and all that. "Your skin is safe and supple with me." Formulated with Rosemary, Witch Hazel, Green Tea and Aloe to get rid of skin irritation and premature aging. "Let me be your skin's blanket." Wraps your skin in soothing ingredients of Aloe and Chamomile, Rosemary and Lavender Oil. "Think of me as your shield from toxins." The combination of Activated Charcoal and Botanical ingredients will banish dry skin and strip off impurities. I love all these face masks. 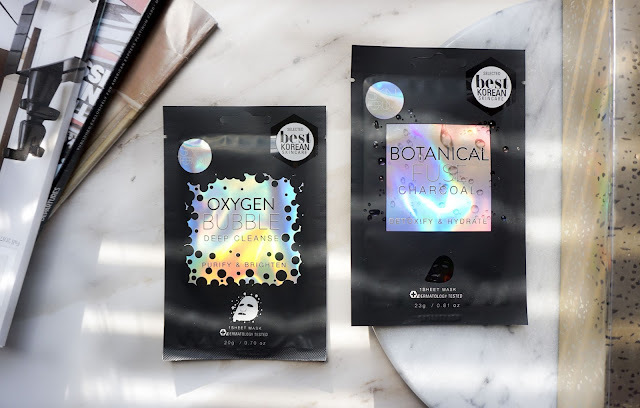 The past few days I've been using these, I haven't really put on makeup to let my skin rest, and just enjoy all the goodness from the masks. I do find my skin feeling so soft and looking more plump, and glow-y! I find the ones with alcohol in it dries my skin out the next day and none of these masks did that because these doesn't have alcohol in it. I love that the masks are soaked in serum which doesn't get all over my arms or dripping down my neck. It also just has enough serum in each packet for one time use. I feel bad sometimes throwing out masks that still have a lot of serum in the packet, and it's really not sanitary to keep the packet after that. Honestly, I would love to use a face mask everyday but it is time consuming as I do have a pretty long skincare regimen already at night. It may also be costly to use this every single day but I definitely would recommend it when you are prepping for a special occassion. Again use the code: fivetwobeauty15 to get 15% OFF on theSkinForum.com !!! *Products used on this post were provided to FiveTwo Beauty. All opinions stated on this post are 100% mine. Please see the Disclosure Policy tab for full information.